Inspire your congregation to partner with God in all the new beginnings he is creating in the world. Pastor Steve Wiens coaches you on the message of Day Eight with a chapter in his new book, Beginnings, a sermon outline for your Easter services, an inspiring video, and an opportunity to roll out a small group series based on Beginnings. Download this excerpt which includes the book introduction. In addition, we have included bonus material from the epilogue on “Day Eight”, especially for pastors. Download the free sermon notes to help people become all that God has created them to be. Includes an eight-week sermon series that starts with a fresh Easter message. Beginnings. The first Seven Days of the Rest of Your Life. All the broken and dislocated pieces of the universe—people, things, animals, atoms—get fixed and fit together in vibrant harmonies, all because of the Holy Trinity. This is not a laundry list of things you must believe. This is a song bursting with reality and promise and new beginnings. THIS IS HOPE. Partner with God to create and become, using every bit of pain and promise in your life. All of the breakdowns and all of the breakthroughs are ingredients in the dynamic stew of becoming. We need to name and honor what is truest about us, and then give it away. #beginningsbook. 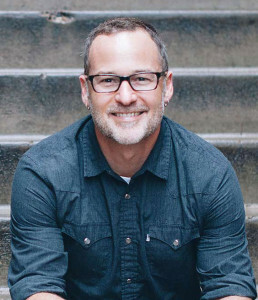 STEVE WIENS is the founding pastor of Genesis Covenant Church. He, his wife Mary, and their three young boys live in Maple Grove, Minnesota. He blogs at SteveWiens.com and podcasts at This Good Word. May you come to know and name the seeds of life which God has embedded deep within you. May you nurture them as they find their way up and out of the ground, as they are called forth. May you watch with joy as your new beginnings crate other new beginnings. And may you know, my brothers and sisters, that you are very good. I’ve come to think of Steve Wiens as a poetic hound dog, an author who sniffs out the nuances of ancient biblical words and stories until he’s dug up their practical implications for the living of our actual lives. Wiens’ book, Beginnings, is an eloquent, earthy, gently urgent call to say yes to the beautiful things the Creator wants to grow in the soil of you and me. Steve Wiens has a rich repertoire of stories that have emerged from the daily concrete reality of life. He uses this fund of narratives to fill out and explicate the seven days of the creation lyric. The result of this interpretive work is that we are permitted to read both ways–from creation to daily life, and from daily life to creation. This “back-and-forth” is immensely generative, thanks to the pastoral heart that is so evident on every page of Wiens’ book. This isn’t a book. It’s an invitation to new beginnings, new life. With a fresh perspective on Genesis 1, we are invited into God’s process of becoming who we actually are. Telling stories of honesty, vulnerability, and pastoral sensitivity, Steve helps us locate our stories in the grand narrative of God’s creation and re-creation story. Read this book and walk into something new. Beginnings is a fine work of midrash. 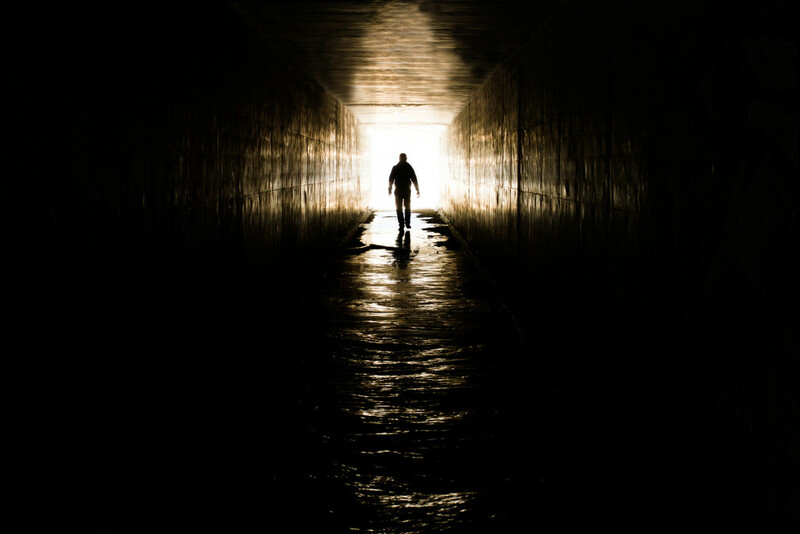 Steve Wiens knows how Scriptures should work–indeed, how they do work–to breathe an expansive breath into our mean and shriveled lungs, creating space for a good universe, the fullness of creation, to come inside. Beginnings shows us how to take in the breath, and with the exhale, to let out a great and inspired hallelujah! God majestically spoke creation into being in seven days, creating the teeming world of profundity and promise in which we live. Beginnings beckons us to let into our lives God’s formational framework, the seven days which created the world and just might change yours. I really enjoyed reading Beginnings and found myself referencing Steve’s writing in conversation with friends immediately. This book will both encourage and challenge. Steve doesn’t leave us alone with our thoughts and struggles but expertly guides us into our own new beginnings through both the creation story and his own journey. Nice one, Steve! 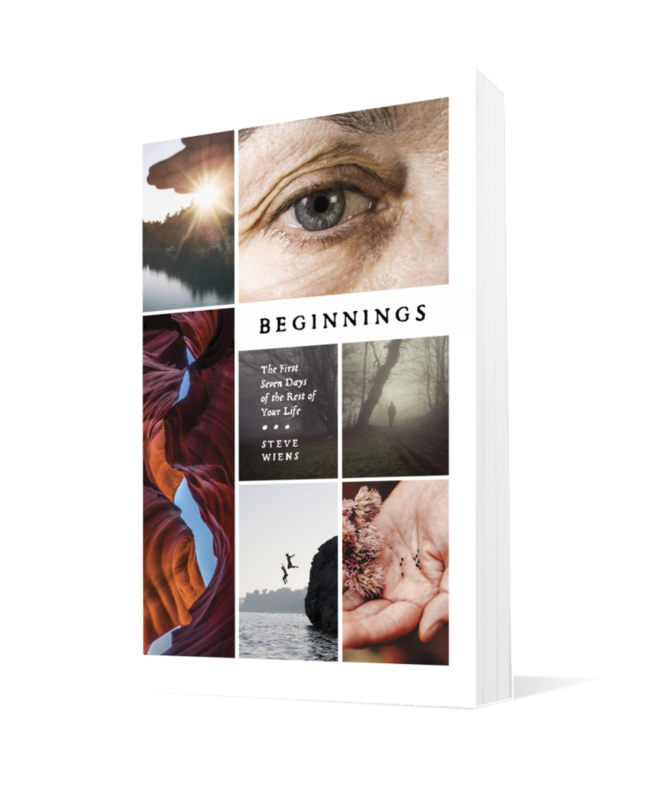 If you love language, stories, and scholarship, Steve Wiens has prepared a feast of all three in Beginnings. Steve is a wise guide and wonderful storyteller, trekking deep into the rhythm of the creation and the gorgeous Hebrew language which holds it. There are a few stories in my life which have been tender to the touch and in need of a deeper interpretation than merely my own experience of them. Beginnings gave me a way to interpret my life, fresh, and for that I am grateful. I read Beginnings during one of those in-between seasons Steve Wiens talks about. I was at the close of one adventure, with no clear sense of when the next would come, and still less certain that I would be up for the challenge when it did. I was exhausted but also restless. Rather than offering a quick escape, Beginnings encouraged me to embrace that tension. After all, the seeds of new life are often embedded in the vulnerable place between the “What now?” and the “What’s next?” Wise, hopeful, and beautifully written, this was the right book at the right time for me. What will it coax to life in you? Steve Wiens is the rare pastoral soul who somehow tells the truth about ourselves and God with both truth and love. He gets it; he gets us. And yet he sees the truth of the gospel and the wonder of resurrection among the most regular moments. In an age of Facebook-self versus real-self, this book of his will help our compartmentalized church move into the prophetic work of wholeness. This book will encourage you. Deeply. To be and become the light God created you to be. To stop being something and someone you are not. To begin again–to be the “good” God created you to be. Read it and be blessed.